The league’s top two teams meet up in the finals. I believe this is the first time in league history that this happened. Henry Singer and Fancy are both great teams with no real weaknesses in the lineup. For shits and giggles, we will go through the roster to determine who has the edge in this series. We will not be doing a game summary on the site. If you want to know how the goals were scored, please follow us on twitter as the game was live tweeted. Both teams are very strong defensively. Fancy is led by Anoop Sahota and Kik Brar. Henry Singer is led by Jiven Gill and Chandan Sangha. To be honest, there are no slouches anywhere in the top 6 with either team. The reason why we give the edge to Fancy is primarily Kik’s ability to organize the entire team from the back end during play and Anoop’s ability to smother a fwd into a turnover then take it up himself into the zone. In the playoffs, every zone entry is contested so someone that can do it easily is an asset. Henry Singer has some very offensive defenceman and some stay at home defenders. They are very strong in these aspects but lack the one defender that can do both seamlessly. This is tough. Sim Sandhu is a dynamic player who must have eyes in the back of his head. His play-making ability is top in the league and he is very difficult to separate from the ball. All Akash Mehta does is score goals. He must have the top sniping percentage in the game. You know if he gets a good chance, the shot is labelled for a corner. A surprise this year has been the play of Mahmoud. Mahmoud doesn’t play on the top line, at times I don’t know if he needs linemates. He is very quick with great deking ability. I witness him scoring a solo effort highlight goal every few games and Henry Singer will need that. Gagan Khaira and Sonny Sekhon are solid top 6 forwards and one of the more underrated players in the PBHL, Sunny Basi will be good as usual. Honestly, if I wrote this article before the trade deadline, it would be a no brainer in favour of Henry Singer. But captain Amit Mann may have traded himself his first championship. A very good Fancy team became great once they were gifted Navi Brar from Pizza 38. The deal which made more sense once we got to see how well Sanjay and Robby played for Pizza 38, is still a very controversial one. Now you have Navi Brar leading a Fancy team which already enjoyed power forward Karan Dhaliwal and captain Amit Mann. The second line for Fancy doesn’t get enough credit. Greg Gandoke and Jim Sidhu anchor this line and have great chemistry together. They won’t dazzle you with their handles but they can keep the ball, in high real estate areas, they travel to the dirty areas to sniff out goals and are good team first players. 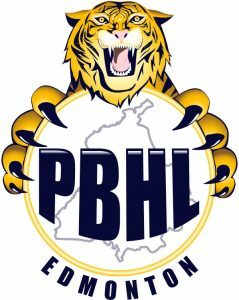 Amiraj Jawanda is finding his legs in the PBHL. Had a good season and is hoping to answer the critics after he was written off after a sub-par rookie season. Rajbir Malhi is a good pbhl goalie. He has become more consistent as the years have gone by. He will not give up the easy goal and if you let him see it, its a save. He played very well for Fancy in the series vs Gallo. His rebound control was excellent and isn’t easily rattled. A very steady goalie. Balraj Khosah is a former Vezina winner and the favourite to win it this year. He is having an exceptional season and I have witnessed this man stand on his head and absolutely rob forwards of goals. Forwards know that it will take something special to score on him. Prediction: Based on the foregoing, I predict that Fancy wins it in 3. FANCY DOORS AND MOULDINGS WINS THE BBPC CHAMPIONSHIP. Congratulations to all players and families. Great season, can’t wait for next year.